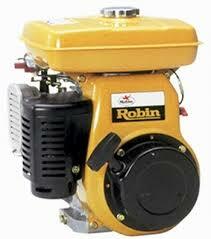 While we haven’t made too much noise about it, we do sell and service Robin engines and power equipment. If you own one, you may want to consider some of the points we cover in this post.Let’s face it, regular maintenance of any piece of equipment pays off in the end. Not only through longer service life, but also in savings in running costs. Plus, consider the inconvenience of a engine failing you at the worse possible moment. You may be up for a replacement (whether a purchase or hire) at a time you least expect. And, whatever job you’re working on has to wait. If you use your Robin product for work, the consequences are even worse. That engines will require daily and periodic maintenance is a given. We should also be aware of the audible and visual signs of unexpected maintenance needs. Operators of this type of equipment should also take into consideration working conditions and how they affect engine performance. Proper engine storage shouldn’t be overlooked either.Addressing the small issues early on, making appropriate environmental adjustments and following storage guidelines will all help prevent engine troubles from creeping up in the future. If an engine is experiencing hard starts, the valve clearance on the intake and exhaust valves should be checked and adjusted according to manufacturer’s specifications. When checking the valve clearance, position the piston at the top dead centre of the compression stroke and ensure the engine is cold. After the clearance is adjusted, rotate the crankshaft and check the valve clearance again. A reduction in power is often an indication that the cylinder head and carburettor need to be inspected and cleaned. Check the cylinder head’s valves, seats, ports and guides and remove any carbon or gum deposits from the components. Check the air filter as well.If the recoil rope hangs loose and doesn’t completely return, this could be a sign that water has intruded the recoil started assembly. This indicates the lubricant may have been washed off. Remove the recoil return and apply additional lubrication to fix the problem. Ignoring the issue can result in a broken rope or eventual damage to the recoil starter. Additionally, a loss of power or a smoking engine may signal an internal engine problem. Here’s where smoke-colour is important to note. For instance, blue-coloured smoke indicates that the engine is using oil. This problem tends to be more common on cold days. Check that the breather hoses are plugged and check the piston rings, which may be bad, to determine the cause of the smoke.If the smoke is black in colour, this normally indicates that the fuel/air mixture is too rich. Incorrect mixtures of air and fuel cause the majority of carburettor problems; therefore, it is important to prevent clogged jets, air passages and fuel passages that keep air and fuel from flowing freely. 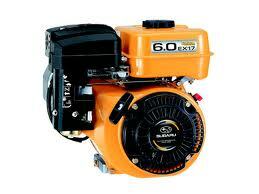 Also check the carburettor for dirty or defective parts and clean or replace them if needed. A change in elevation also may cause black smoke, in which case the engine should be modified to handle the difference. If basic troubleshooting maintenance techniques fail to work, have a trained mechanic conduct a leakdown test or compression test to determine the cause for any smoking or power reduction. Like smoke colours, different noises also can indicate specific problems. For instance, if the engine begins to make a popping noise or backfire, the mixture of fuel and air is likely too lean in the carburettor. A knocking noise will generally indicate a worn connecting rod, while a tinny or metallic sound may mean something is loose.More tips on our next post. Please go to our brochure download page for all our brochures. Printed brochures are available on request. Aztex Equipment Pty Ltd is a tightly- knit team of specialists working to help industry get the job done.